The cozy little town of Cascais is one of cobblestone streets and spectacularly charming houses, nestled along a graceful bay on the Estoril Coast. Growing out of one of the arms on the bay is the sleek and stylish Farol Design Hotel. This innovative architectural project overlooks the bay and its host fishing boats. Once a 19th century mansion, it has gone through a modernist makeover, inside and out. 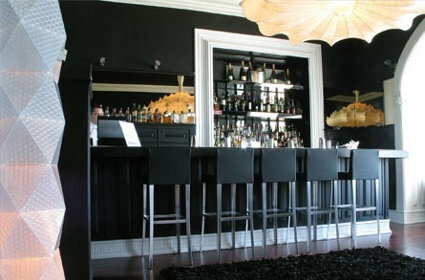 It has recently grown in popularity due to its addition to Lisbon nightlife, the appropriately named On The Rocks club. The original esplanade that surrounded the seawater pool area has been updated in such a way that the expensive furniture appears to float upon the water itself. Flanked by a lush garden, the environs of the new café-club offers some spectacular views and seating from dusk to dawn. During the day, On The Rocks Club offers tasty house cocktails and light lunches by the sea. 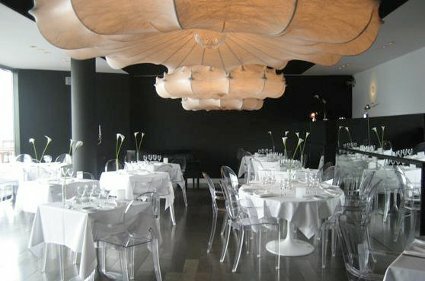 At night, the restaurant within, dubbed The Mix, has an invigorating dinner menu and a wine list that challenges many of the private collections in Lisbon. Dine in, then carry your vintage to your table by the beach for a peaceful interlude under the moon.